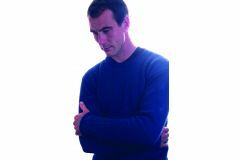 A slim fitting extra long sleeved sweater with two sleeve styles. Chest size 36″-44″. Pair 4mm needles and/or 4mm circular needle.